I’ve been on some tough journeys before, the kinds of trips that make you thankful to whatever being you pray to when they’re finally over, and proud that you were courageous and bold enough to take them in the first place. On the road to Angkor Wat from Bangkok, my hired taxi came to an abrupt halt just an hour outside of Siem Reap. We had driven into a ditch and the axel had bent like limp strand of spaghetti. It would be a two-hour wait in the enveloping darkness of the Cambodian flatlands before a mechanic truck would pick us up, dragging our injured vehicle to its final destination. In China, the daily commute is a constant reminder of the sheer weight humanity places on this planet. But during the Chinese New Year, its of a near-sufocating scale. Lining up for a ticket in Guangzhou around this festival season many years ago, I was lucky to have gotten a seat so quickly. I was not so lucky to be stuck next to many men that seemed to stain the air around them with a foul body odour. Some seated. Many not. All this for nearly a day-long ride through central China. 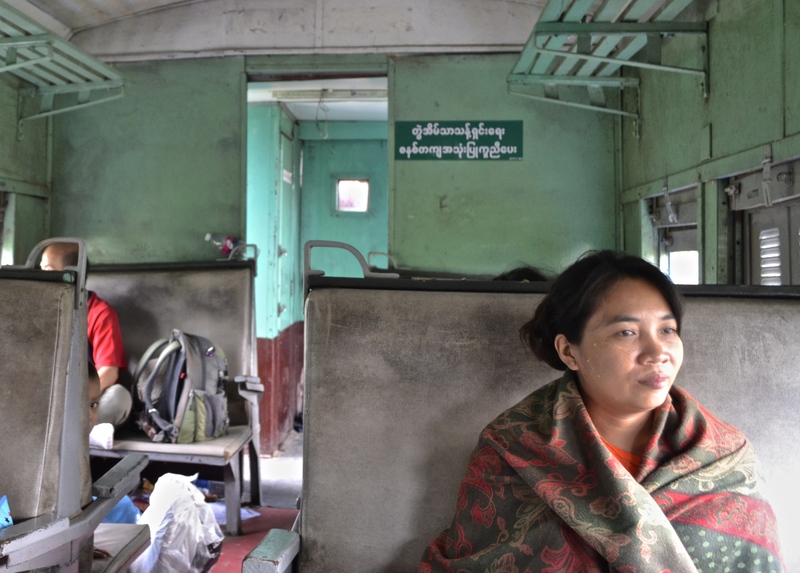 Myanmar has its own perilous yet equally awakening journeys. Of them, not one is perhaps more testing — or feared — as the train system. Without a single investment since the British left the country after World War II, the railroad has been damaged by the restless onslaught of time. Offset tracks make the ride a back-breaking experience; upper class seats are nothing more than wood planks with sweat-stained pleather; the only garbage receptacles in use are the toilet bowls that exit onto the tracks below, and, of course, the window. 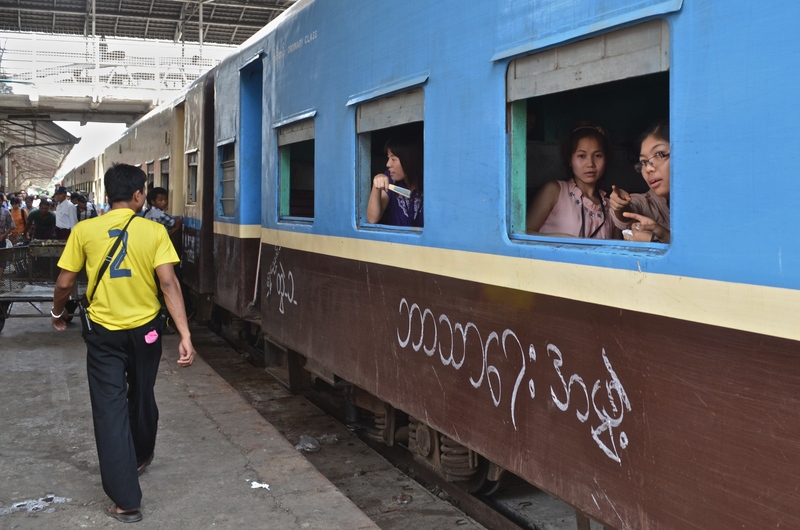 When I took the 33-hour ride up from Yangon to Shan State for the Thingyan Water Festival, rail cabin conditions prevented me from sleeping a wink. The fact that it was a holiday commute made it worse. Water being tossed in through the window in revelry; overloaded seats; the distance that so many people would be traveling with us all made the experience that much more painfully visceral. I sweated more than I thought a human being could, adding my own set of stains to the pleather seat. Hold for the overnight stay at a station (while remaining on the train), the trip was an incessant course of sharp bumps that sent rivets up my spine. But I survived. And I was more relieved than any other previous time in my life when I was finally able to step off that train. 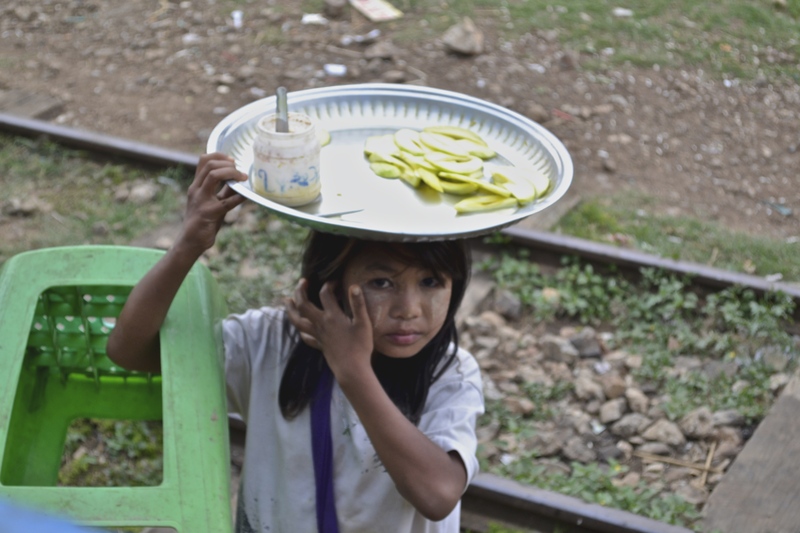 Today Myanmar is not without change, however. The first major transformation in the cities to become conspicuous is construction; scaffolding creeps up around corners across Yangon, more and more by the day. Luckily, heritage protection groups have been quick to confront plans to disturb the British architecture in Yangon, the Southeast Asian city with the most colonial buildings still standing. Some have already begun to benefit, superficially at least, receiving bright new coats of paint. 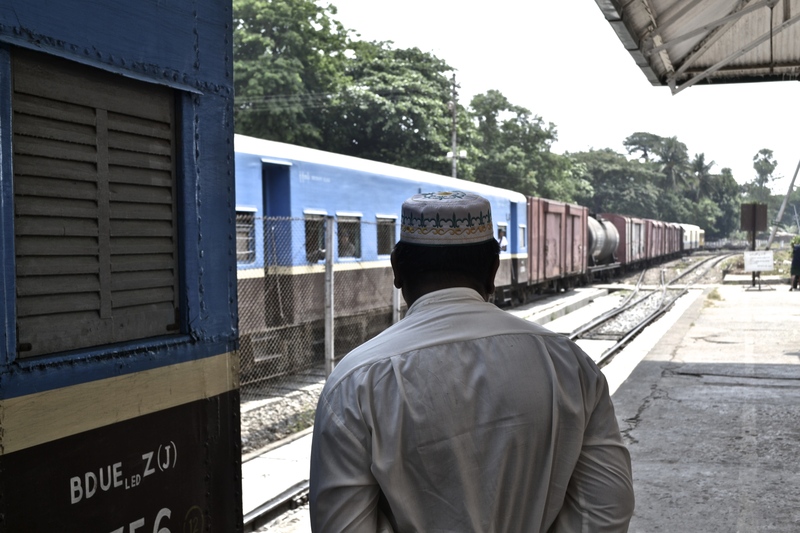 The train system, with its battered looking central train station in downtown Yangon, has gotten attention from investors, but the process will be unlike that other industries. Compared to other transit projects in the nation, the railway system has not been placed on the fast track. This means, most directly, that trip I ensured from Yangon to Taunggyi will remain in its current authenticity for some time to come, likely until past 2020. I recently detailed this observation in an article for The Diplomat. Below are some photos that I took during this memorable journey.